De Montfort University Leicester will invest £3.7m to transform its former sports centre into a state-of-the-art conference and events venue. 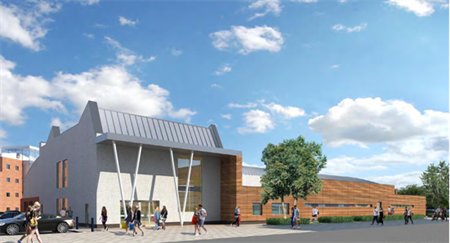 The multi-million-pound refurbishment, which is part of a campus-wide £136m redevelopment project, will transform the university’s old John Sandford sports centre into an events venue for conferences, exhibitions and functions, with a capacity of close to 1,000 people. The 2,500sqm venue will feature a main hall, with folding partitions and ‘bleacher’ style foldaway seating, additional meeting rooms and office space, as well as a kitchen that can be used for large-scale banquets. The project is set for completion in August 2015.